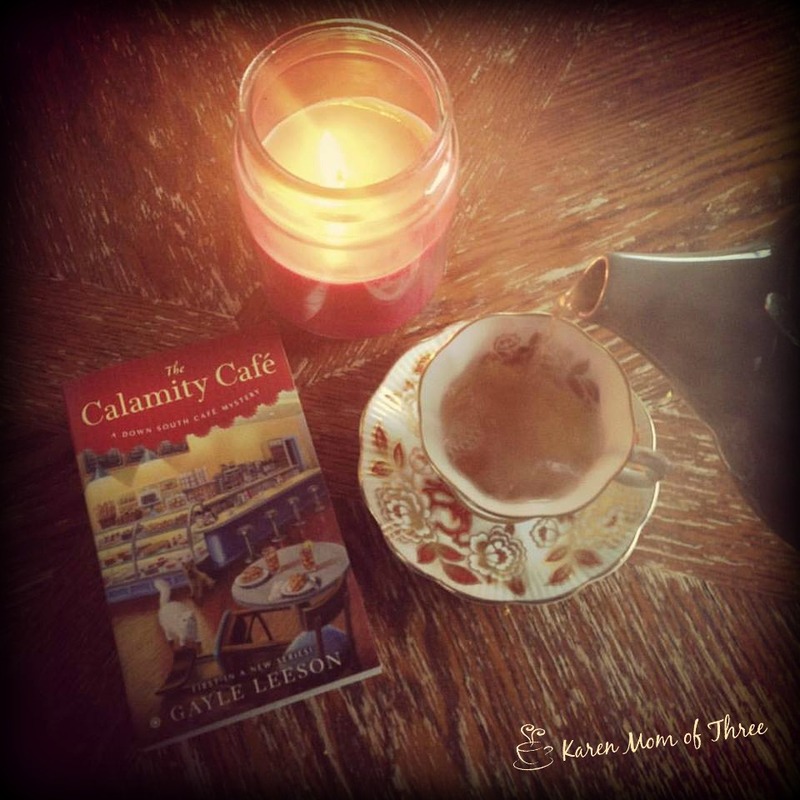 I read and reviewed The Calamity Cafe back in April and it had me smiling and my mouth watering! Now that it is out in paperback and on my table I am reminded of how much I enjoyed this first in series. 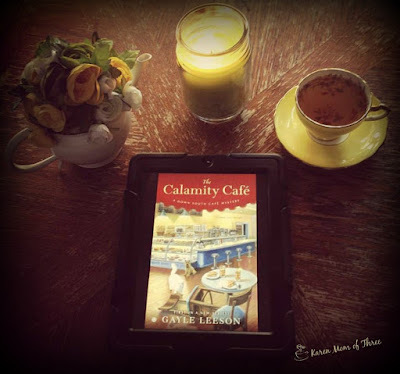 I really enjoyed how this story came together and how the mystery unfolded. Main character Amy is not overly complicated and has a great back story, who doesn't love a hard working southern girl who can cook and catch a killer? Aspiring chef and small-town Virginia native Amy Flowers is ready to open her own cafe offering old-fashioned Southern food. But her dream may go up in smoke when someone kills the competition... 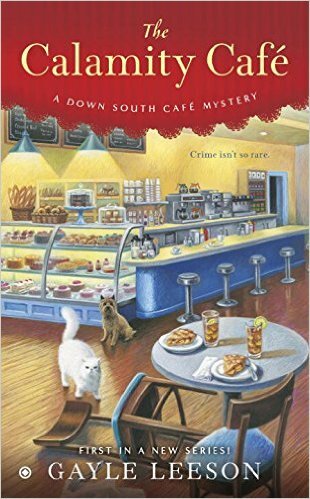 Tired of waiting tables at Lou s Joint, Amy Flowers doesn t just quit she offers to buy the place from her bully of a boss, so she can finally open the cafe of her dreams. Amy can't wait to serve the kind of Southern, down-home treats and dishes that her grandmother always loved to the kooky cast of regulars at the restaurant. She knows her comfort food will be the talk of the sweet, small town of Winter Garden, Virginia. At first Lou Lou refuses to sell, but when she seems ready to make a deal, she tells Amy to come see her. Showing up at the eatery ready to negotiate, Amy is shocked to find her former employer murdered. 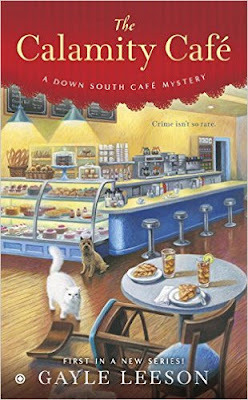 As the prime suspect, Amy will have to clear her name by serving up the real killer and with Lou Lou s stack of enemies, that s a tall order. Includes delicious Southern recipes!" I also loved the cover of this book and believe that it does set the tone for the book. I am also could go for one of those glasses of sweet tea with lemon right about now. To order your own copy of the Calamity Cafe from The Book Depository with free shipping please click here. To learn more about Gayle Leeson by clicking here to visit her website.